The term “consumer” implies that users are just that—consumers. But there is strong evidence that 10 to 40% of individual and corporate consumers engage in product development and modification of standard products offered by manufacturers. They have heterogeneous needs, whereas manufacturers tend to produce standard products that appeal to a market large enough to warrant investment in R&D through to production, marketing and sales. “Lead users” are at the cutting edge of important market trends. They tend to develop innovative techniques as well as equipment improvements because they can foresee the benefits that will result from finding a solution to their needs. They also value the rewards intrinsic to the innovation process—the joy of discovery, the pleasure of learning and the stimulation of membership in a creative community. They often freely share their innovations with others, creating user-innovation communities and a rich intellectual commons. Dr. Eric von Hippel, who is an Economist and a Professor at the Massachusetts Institute of Technology—Sloan School of Management, has been kind enough to share some of his thinking and research findings with me. 1. Question: In Democratizing Innovation you make some compelling points that caused me to re-think the assumption that intellectual property protection, such as patents and copyright, encourage innovation. You also quote many studies, for example Arora, Fosfuri and Gambardella’s article “Markets for Technology” that point out that, with the exception of the chemical and pharmaceutical industries, patents are relatively ineffective. Do you think there should be major changes in our understanding of intellectual property in the modern information economy? Yes, big changes are afoot. I do think that in many areas we are witnessing the building of intellectual commons that increasingly will contain viable substitutes for intellectual property protected by patents and copyright. I think that, over time, proprietary information protected by intellectual property law will only survive in increasingly isolated corners of the economy. In these corner cases - and pharmaceuticals and chemicals are often cited as examples - IP will remain, but in most fields, I think intellectual commons will eventually dominate. 2. Question: What do you mean by “Democratizing Innovation”? The tools for designing high-quality innovations are getting so cheap and so ubiquitous that individuals can innovate for themselves at a steadily higher quality and at a steadily decreasing cost. These sophisticated modern tools are computer-based, and require relatively little training and practice. As a result, even hobbyist users find they can use them to design new products and services. 3. Question: What are some of the implications of this trend? The rise of user-driven innovation, the democratization of innovation, makes innovation more efficient and increases social welfare. Policies that facilitate greater diversity and democracy of growth are good politics and good economics. 4. Question: You indicate that Open Source Software has emerged as a major cultural and economic phenomenon. Its popularity appears to be continuing to grow -- almost exponentially. I presume you strongly support this approach to software development. Yes, I do. The rise of open source software as a business phenomenon foreshadows changes elsewhere in the economy. OSS users have crafted intellectual property rules, informal networks and peer review mechanisms that offer a model for other industries that are beginning their transition to democratized innovation. 5. Question: What are some of the implication of the democratization of innovation? A major implication is that users have the opportunity to build exactly what they need for themselves -- they no longer have to rely on manufacturers to innovate for them. If innovating users freely reveal what they have developed -- as they typically do -- the whole user community can benefit. New products and services developed by users also tend to be a feedstock for the new products manufacturers bring to market. Users tend to form the first companies to exploit a new user innovation. For example, snowboards were developed by users, and Burton Snowboards was a company established by a lead user. After that, more established companies pick up the innovations. 6. Question: You said that a variety of businesses have found it profitable to shift the task of custom product design to their customers along with appropriate toolkits for innovation. Can you give us an example? Examples run from Lego -- which increasingly commercializes new model toys developed by users -- to sophisticated medical equipment such as MRIs. GE, for example, gets important software innovations from users of its MRI equipment. 7. Question: Could you talk about the role of “lead users”, as distinct from “early adopters”, in innovation? Lead users are ahead of early adopters because there is nothing there yet to adopt at the leading edge. Lead users have to develop what they need for themselves. Mountain bikes are a good example. There were none until users who wanted to be the first to go down steep terrain on a bike built them for themselves, adapting mass produced bikes to be able to deal with the abuse of being used in rough conditions. Another example is kite surfing. Kites for this purpose did not exist until lead users developed them. “Early adopters” of the lead user innovations then followed. 8. Question: Is lead user innovation generally effective? In a study of innovation at 3M that we did in about 2002 we were able to compare the market performance of the traditional method of idea generation in a company -- market research among ordinary users followed by in-house research and development - with the performance of lead user idea generation projects that were also funded by 3M. Product concepts developed by the lead users performed much better -- they had about 8 times higher sales five years later. 9. Question: You say, and back it up with research, that most new consumer and industrial products developed and introduced to the market by manufacturers are commercial failures. And you point out that the major reason for the commercial failure is poor understanding of users’ needs. What would you recommend to a new entrepreneur who wants to be a successful provider of a product or service? The key is to take advantage of innovations made and available from lead users. Why develop something yourself from scratch if you can look around and find prototypes that have been developed by lead users and are being adopted by other users? Building a robust product upon these prototypes seems a lot more cost-effective for an entrepreneur. And the good news for start-ups is that not many manufacturers are doing this yet. 10. Question: Is it correct to assume that lead users generally tend to collaborate with other lead users in their development of innovative ideas? Yes. Not only are the users innovating, but, as Franke and Shah have shown, they're often doing this collaboratively -- and also filtering out the best ideas and innovations. It may turn out that in the future manufacturers will learn to rely on users for innovation prototyping, and on the collaborative filtering efforts of user communities for a good piece of their marketing research. 11. Question: You talk about pyramiding. Could you explain this further? That is a method used in lead user studies—I explain how to do it in free videos on my MIT website. It is a way of networking with lead users who are innovators to identify more advanced innovators. Many people who are passionately interested in a topic know others who are even more expert than they are, and thus an inquiring researcher, innovator or even a manufacturer can tap into this information to locate these highly useful resources. 12. Question: Earlier you advised me that your book Democratizing Innovation can be downloaded under a creative commons license. Could you please explain what that license is, for those of our readers who do not know? I suspect that soon everyone will know what a creative commons license is. There are several versions -- you can go to CreativeCommons.Org to explore it. The version of the license I use says you are free to copy, distribute and transmit the book provided you attribute the work to me as the author, use the work only for noncommercial purposes, and do not use it to generate derivative works by altering or transforming it. 13. Question: I was interested to learn that your book can also be downloaded in a Chinese translation, Mandarin I believe. Is it being widely read in China? I don’t have any data on that. I do know that my Chinese colleague Professor Chen Jin and his student Zhu Zhaohui did an excellent job in their translation work. I hope that many will find it useful, and the fact that it is free should help. 14. Question: IdeaConnection is a website that enables individuals from all over the world to come together to innovate and collaboratively solve problems. Can you suggest any world or other important problem that we could post on IdeaConnection for our registered problem solvers, readers and visitors to jointly work on for the benefit of the intellectual commons? Different sites attract different memberships with differing interests and capabilities. I am sure you know the interests and capabilities of your membership very well -- and that should be one guide. A second guide is to formulate the problem you end up posing in a modular fashion so that different members can address different pieces. This reduces the effort of participation for users and so - as Yochai Benkler and Carliss Baldwin have both pointed out increases the number of problem-solvers willing to engage. Open source software development is an excellent example of the democratization of innovation. 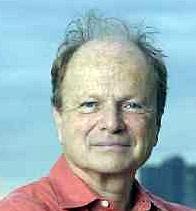 Dr. Eric von Hippel reported that in mid 2004 the website Sourceforge.net hosted 83,000 open source software projects and had 870,000 registered users. Today, about three and a half years later, these numbers have doubled to just over 165,000 and 1,756,000 respectively. Need I say more! [Democratizing Innovation] can be purchased through Amazon.